Front wheel pressure is 2.7 bar and rear wheel pressure is 3.2 bar with a tire air temperature of 40° C, in other words already after a short drive. The inflation pressure should not be checked without the display of a warning! The tire pressure control system is divided into two warning stages. Stage 1: Continuous illumination of wheel arrow in pictogram. Stage 2: Flashing of wheel arrow in pictogram. The color of the sign changes from orange to red simultaneously with these warnings and this warning lamp - lights up in the instrument cluster at top right. A reminder containing the following information appears in the instrument cluster for about 2 minutes after turning off the ignition. Wheel arrow lights up continuously, if one diaphragm pressure switch reports tire pressure loss. Wheel arrow flashes at road speeds above 50 km/h or if both pressure switches respond. In both cases it is necessary to check the tire Inflation pressure as soon as possible and to increase It by 0.3 bar or at least to the specified pressure. In addition, the pressure of the other wheel on this axle must be corrected to the same value. The display should no longer light up after a short control drive (at least 20 meters) and a road speed of s 5 km/h. Increase the tire inflation pressure on the concerned axle again, if the warning still occurs. This step must be repeated so often, until the warning stops. -,:-».n-evtf, tire inflation pressure must not exceed max. 3.5 bar on the front axle and 4.0 bar on the row axle. s -sjt report or pressure warnings can be acknowledged with a control iever located on the left : ~ off The steering column, which cancels the text display. 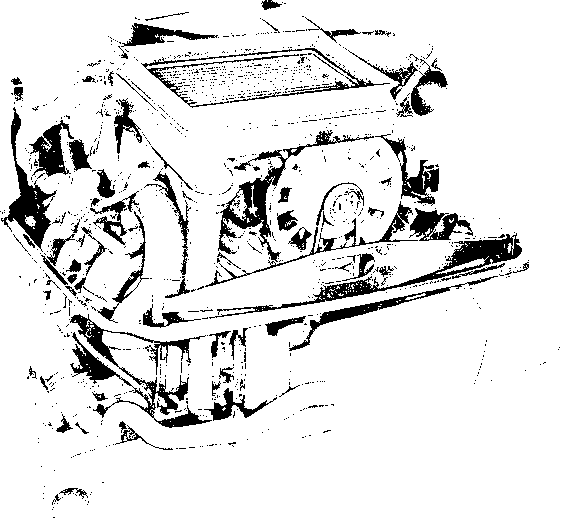 Displays, however, are repeated at Internals uriS the fault is eliminated. use of each fault report Is stored in the fault memory of the RDK control unit and can be called & : .acnosing with the 9288 System Tester. Clean dirty wheels prior to removing tires! Remove tire and unscrew deflector (arrow) on rim. Important: Do not apply the prying off blade of a tire mounting machine In the area of the pressure switches when removing a tire. ■ ,.>v. .. ■■■ ,, iiiip-.. ■ t^ÊÊÈkL. .. Remove diaphragm pressure switch through application of the illustrated Special Tools 9273 and 9274. It is important to make sure that correct diaphragm pressure switches are mounted on a pertinent wheel, because the pressure inside of tires is different on front and rear axles. 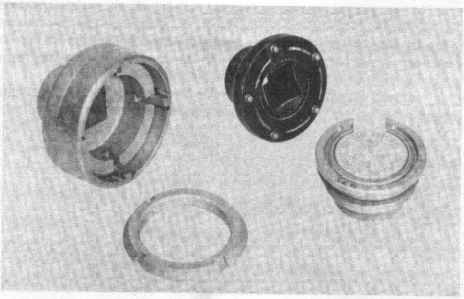 Coupling nuts of diaphragm pressure switches and seals must always be replaced. 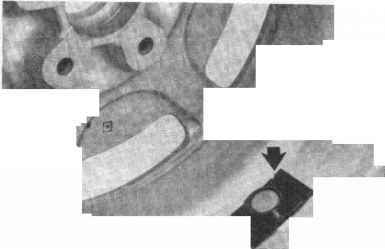 Diaphragms of pressure switches must never be allowed to have contact with grease, tire mounting paste or similar products regardless of circumstances. Insert seal lubricated lightly with vaseline and mount tire pressure switches with help of the special tools. Tightening torque for pressure switches: 20 Nm. Pull off sealing sheet on diaphragm end. Mount tire and check wheel for leaks. Move deflector to correct position on wheel rim. Tire inflation pressure for mounting a tire must not exceed 6 bar, in order to avoid damaging the diaphragm pressure switches. Brief testing of the tire pressure control system is necessary each time a wheel rim or tire is replaced. A short test drive over a distance of at least 20 meters at a road speed between 5 and 40 km/h and with the following test pressure values is sufficient. Entire RDK warning must appear in the Instrument cluster, i.e. three signs and RDK warning lamp light up and four wheel arrows flash. One diaphragm pressure switch in the wheel is faulty, if only one wheel arrow lights up continuously. Correct tire Inflation pressure to specified values as described below after completion of the brief test. Tires of cars with apparently correct tire pressure adjustment are frequently very close to the thresh-hold limit of diaphragm pressure switches due to display tolerances of tire pressure gages and the hardly registrable tire air temperature. There will be a justified display of the tire pressure warning when the diaphragms are subjected to slight centrifugal force influence from fast road speeds additionally. As a solution for these problems in handling, the tire pressure should not be adjusted in a workshop only with a tire pressure gage, but together with a Porsche 9288 System Tester to the following procedures. 1. Connect Porsche 9288 System Tester and select the RDK control unit. 2. Call the "switch input' menu with the "pressure switch" display. 3. Position one of the pressure switches precisely opposite the high frequency sender by pushing the car or turning one wheel, e.g. of rear axle, of car on a lifting platform. This adjustment can be performed with help of a tester; in this wheel position the display for RL or RR pressure switch changes from "open" to "closed" (if the tire pressure is correct; increase the pressure slightly for the time being when in doubt). Now reduce the tire pressure enough until the display changes from "closed" to "open" (switching point of pressure switch). Then increase the tire pressure slowly until the switching point is just reached (display changes from "open" to "closed '). Take a precise reading of the pressure displayed on the pressure gage afterwards and add 0.3 bar. Adjust the other wheel of this axle to the same value. The switching point must be determined on all wheels and the pressure adjusted as described, if the wheels have a different temperature due to, for example, the influence of sunshine. 4. Adjust tire pressure of front axle wheels in the same manner as described in point 3. This adjustment guarantees that the tire inflation pressure is 0.3 bar greater than the switching point of the pressure switches regardless of tire temperature and instrument tolerances. This also insures that there will be no tire pressure warning over a longer period of time. 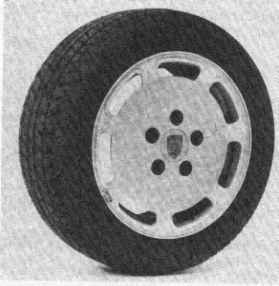 Cars are standard with forged aluminum wheel -rss in disc design (M 395). ea rim diameter: 16 inches. S2S 54 cars can be supplied with cast alumi--un nms in "Design 90" (M 400) as optional ©era equipment.